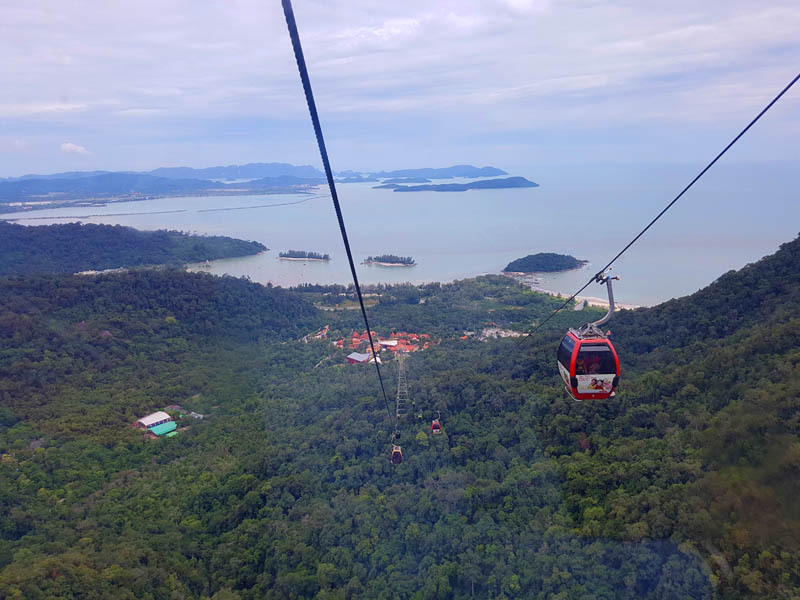 Thetraveljunkie.org – A must try when you are at Langkawi, Malaysia. 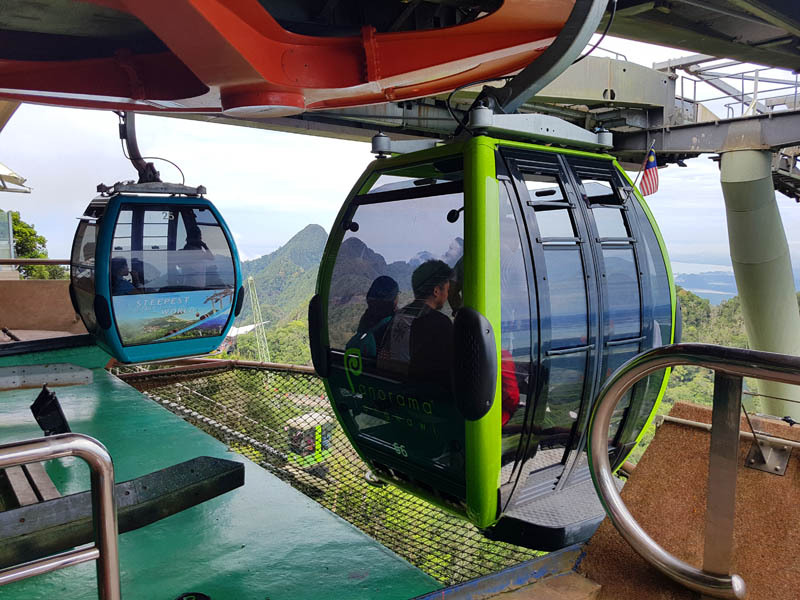 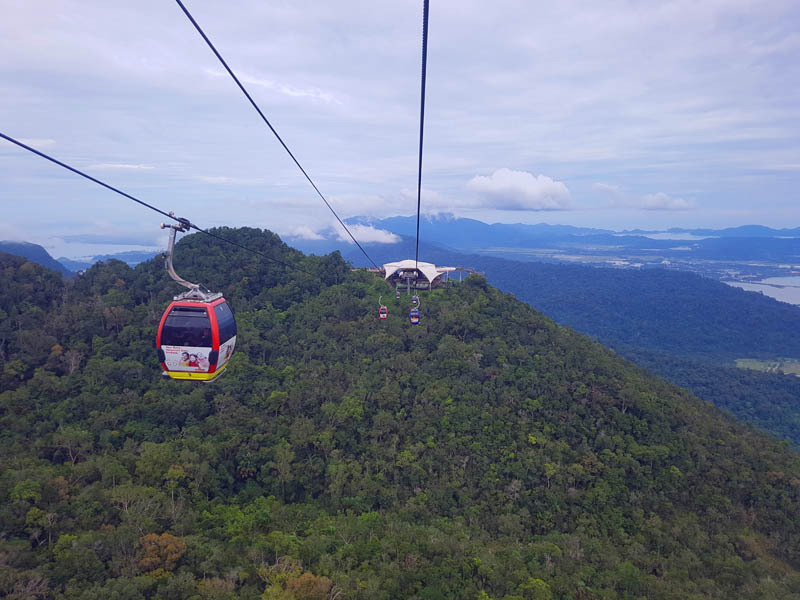 Take in the breathtaking view of Langkawi islands as the cable car leaves the Oriental Village. 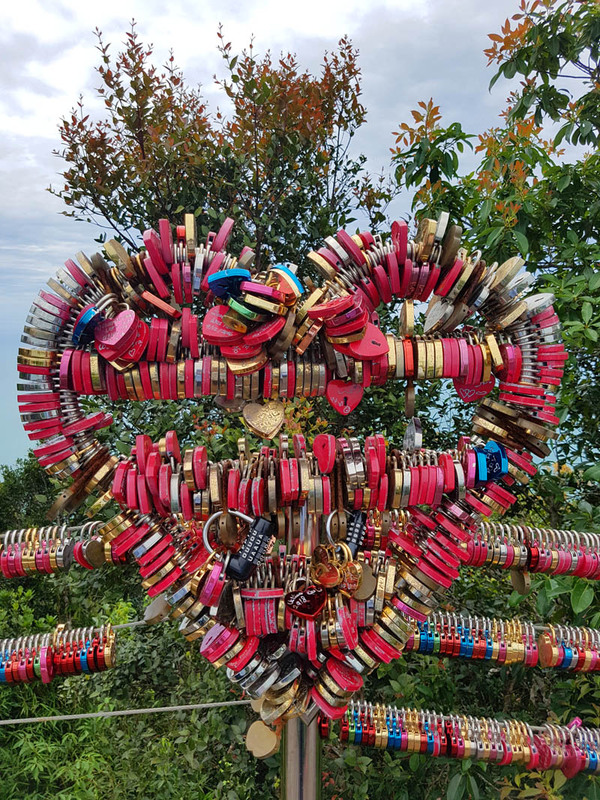 There are a host of little shops catering to your fancy whilst you wait your turn for the ride. 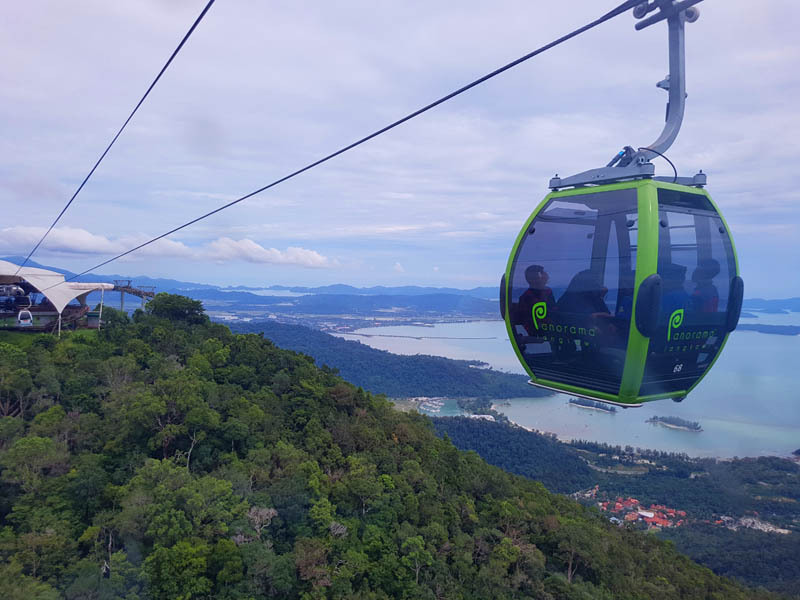 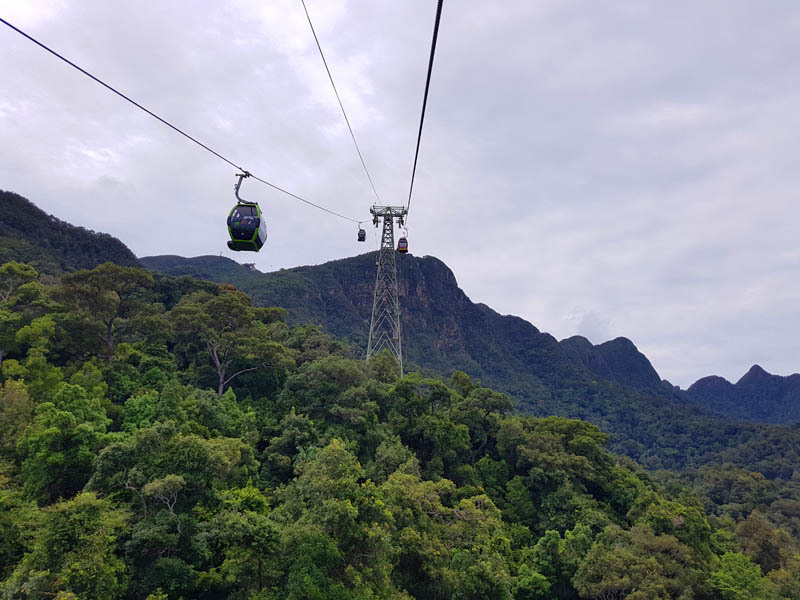 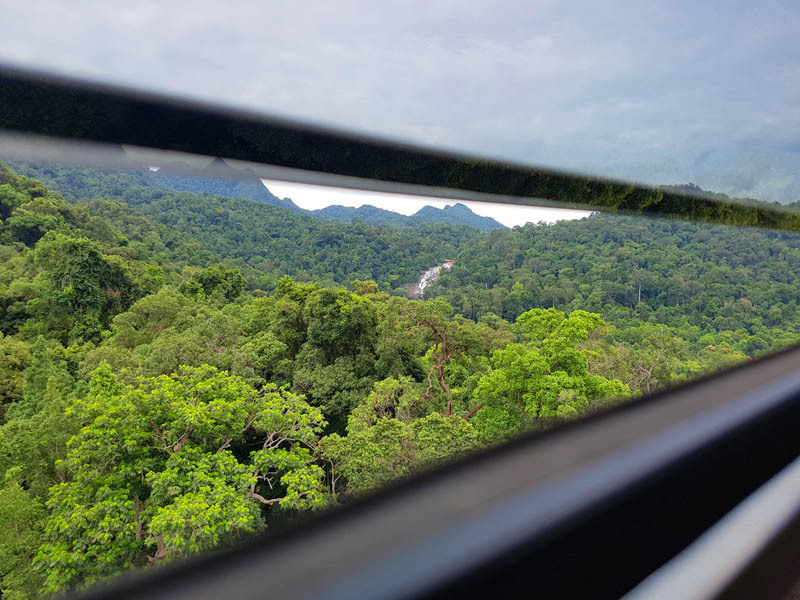 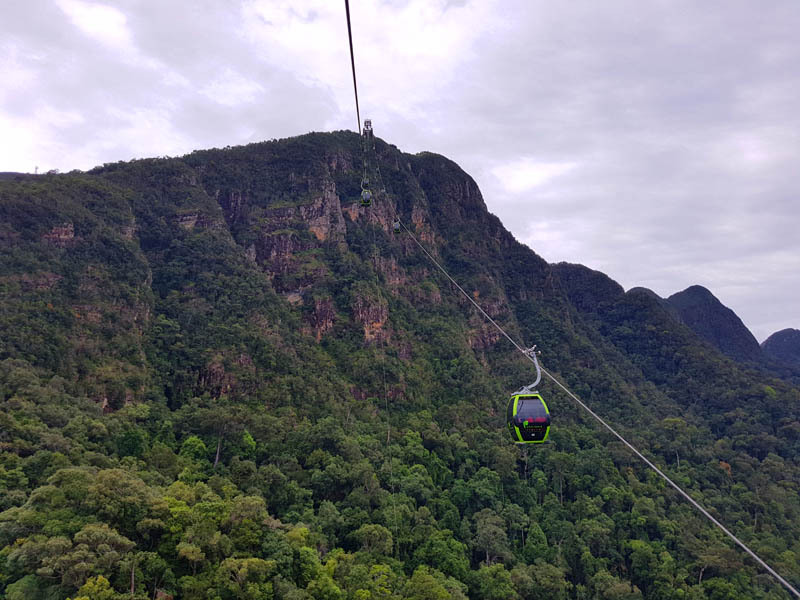 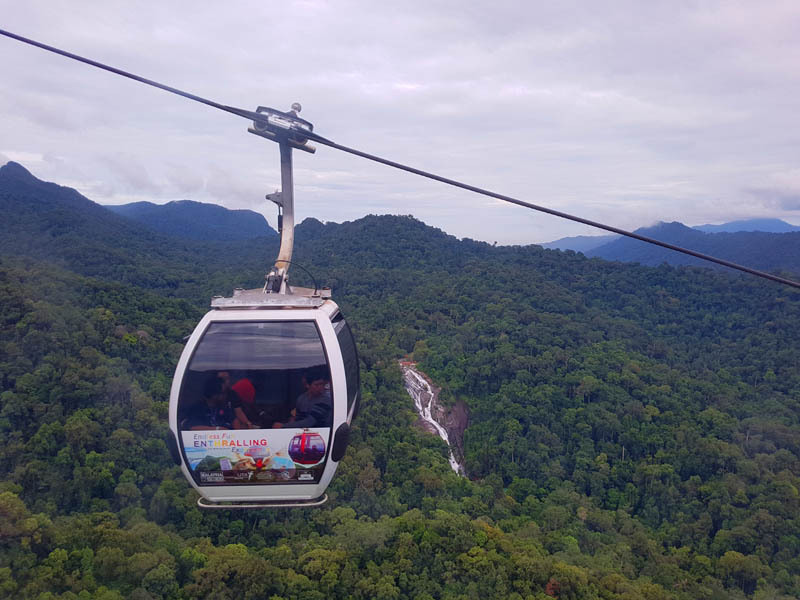 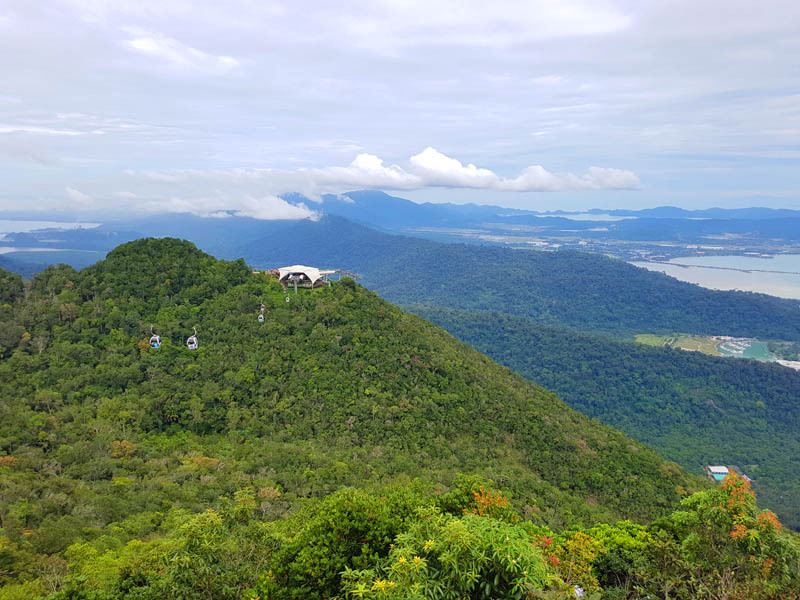 The journey spans 2.2 kilometers, 600m above sea level, during which you’ll get to see the crystal clear waters of Langkawi and its sandy white beaches in the distance. 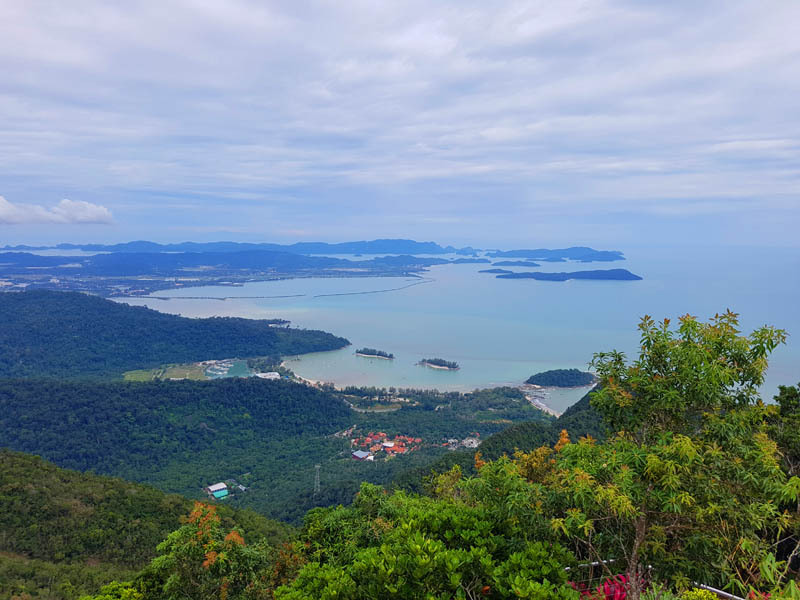 The panoramic view also offers a breathtaking view beyond the island. 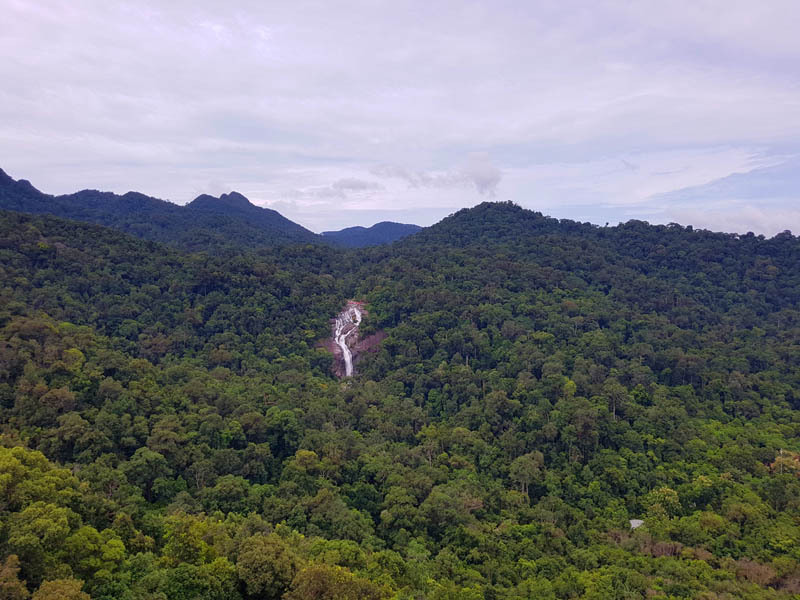 You can even spot the massive Telaga Tujuh Waterfalls from a distance. 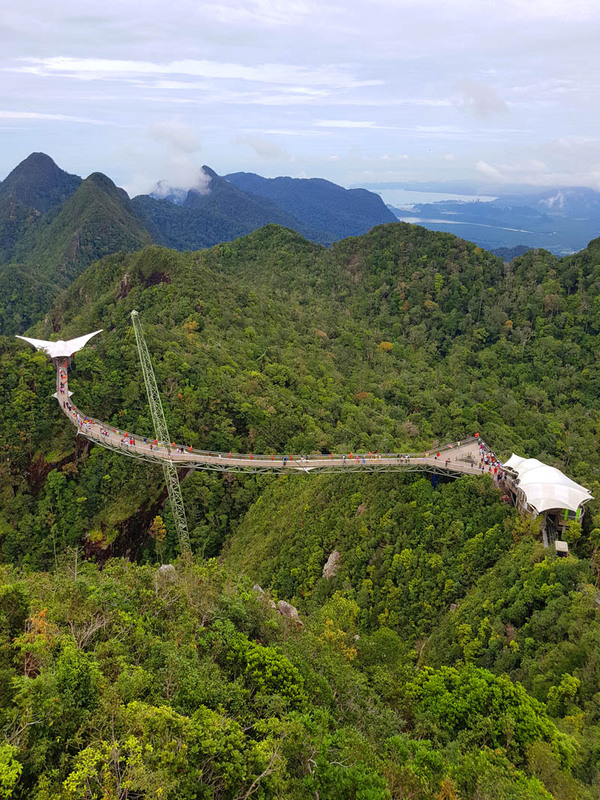 One of my fav places in Malaysia. 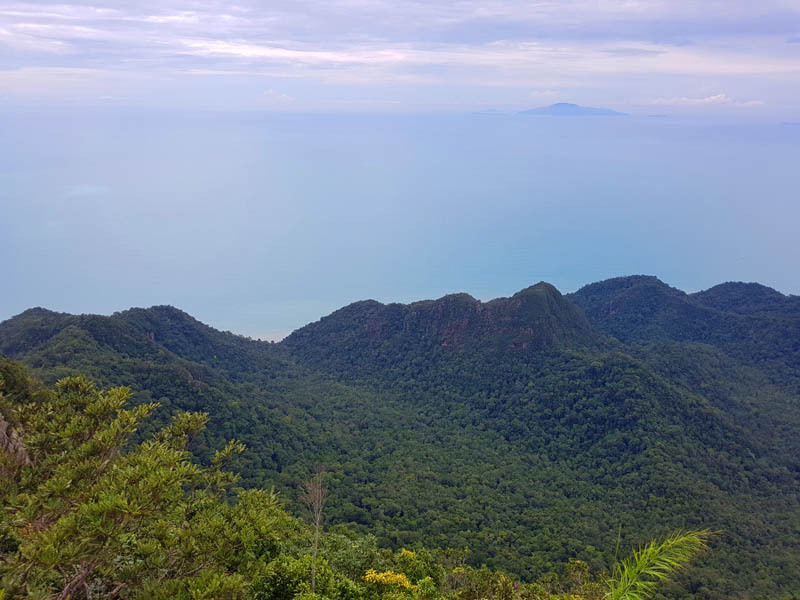 And, Gunung Matcinchang was believed to have been a giant, known as Matcinchang, who was cursed and turned into a mountain. 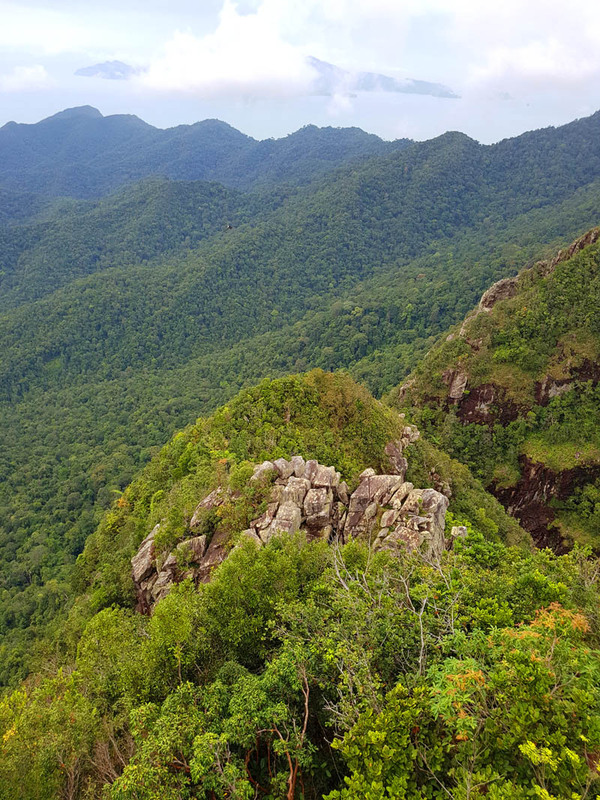 Fables aside, this mountain is testimony to the oldest geology found in Malaysia. 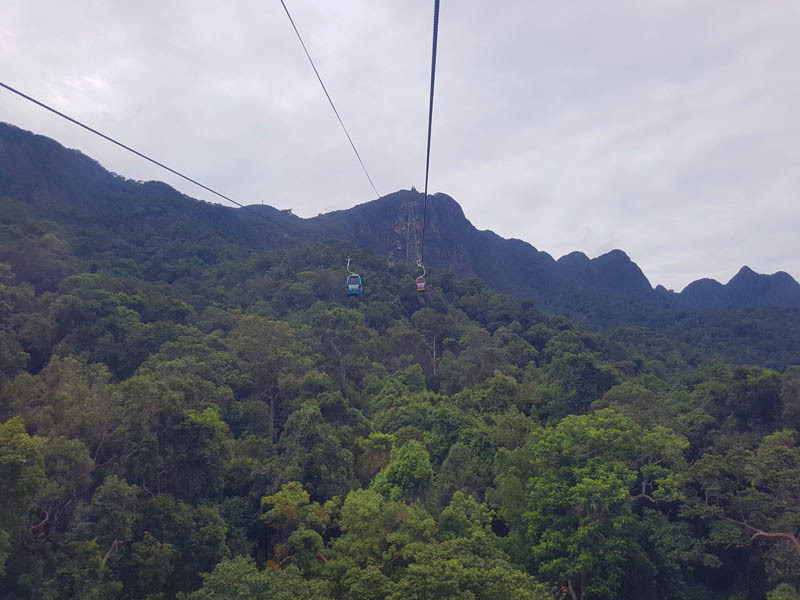 It consists of 450 million year-old metamorphosed rock, around which a unique ecological habitat has developed over the centuries. 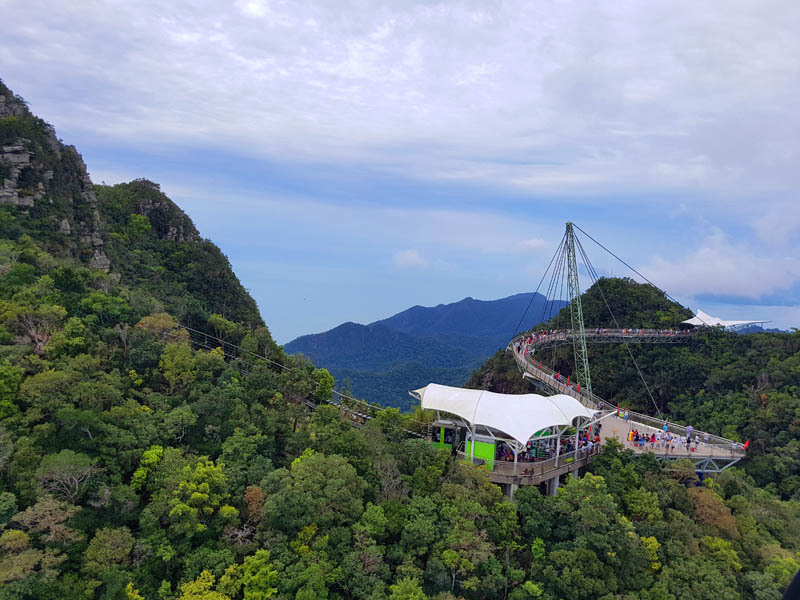 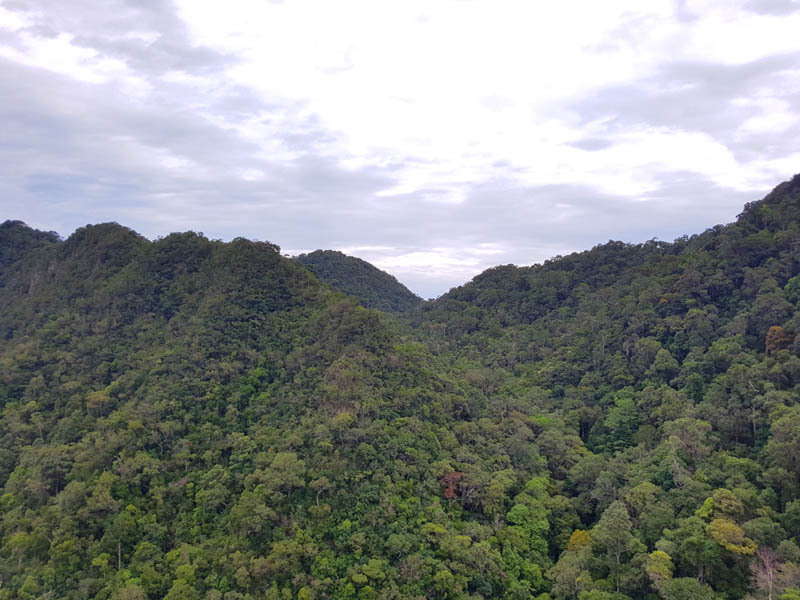 It is because of this that the geopark status was accorded by UNESCO to Langkawi in 2007, making it the only geopark in Southeast Asia and the 52nd under the UNESCO Global Geoparks Network. 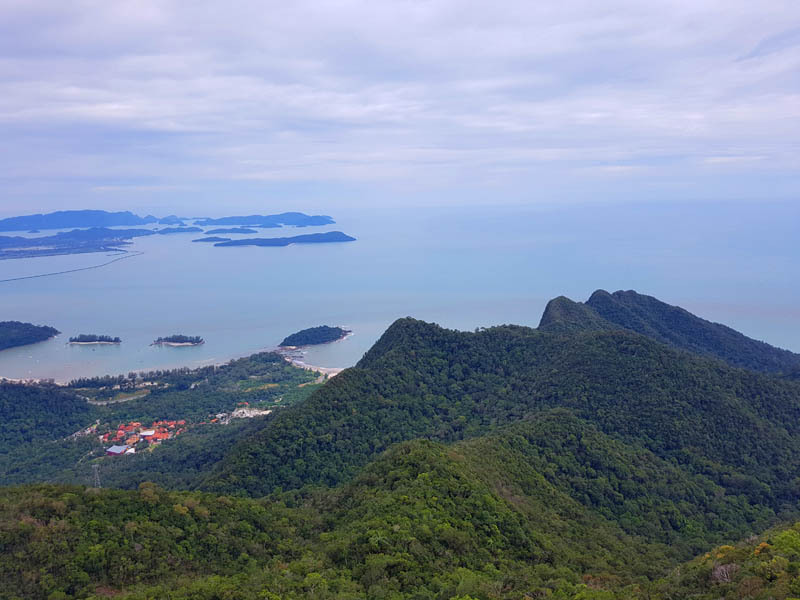 The Langkawi Geopark is said to have the best exposed and most complete Palaeozoic sedimentary in Malaysia, formed during the Cambrian age 450-550 million years ago. 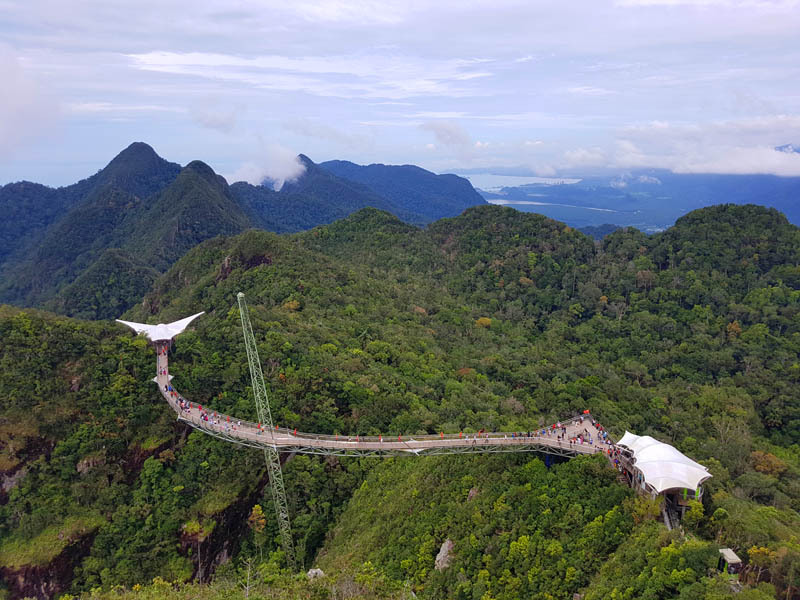 Walking across the sky bridge is like a walk in the clouds with magnificent view of the surrounding horizon, the island’s landscape, skyline and the seas beyond. 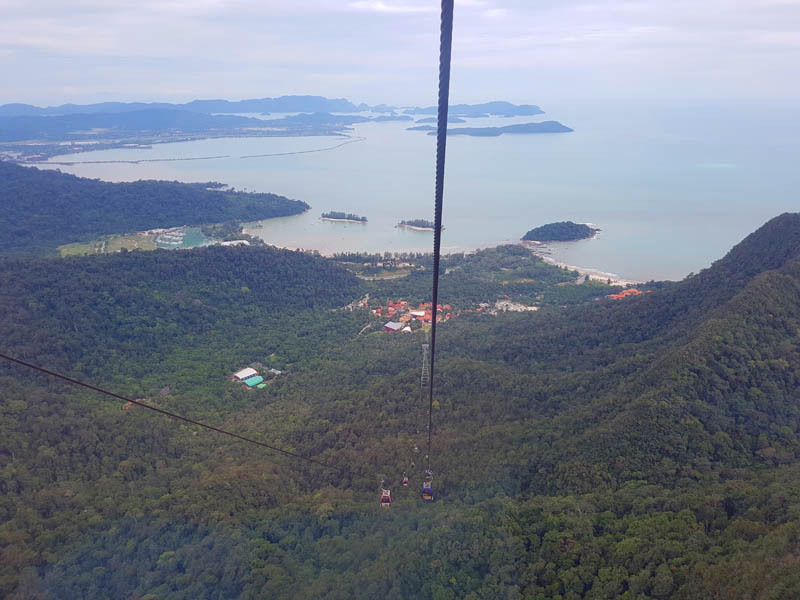 Approximately twenty minutes from the Resort World Langkawi. 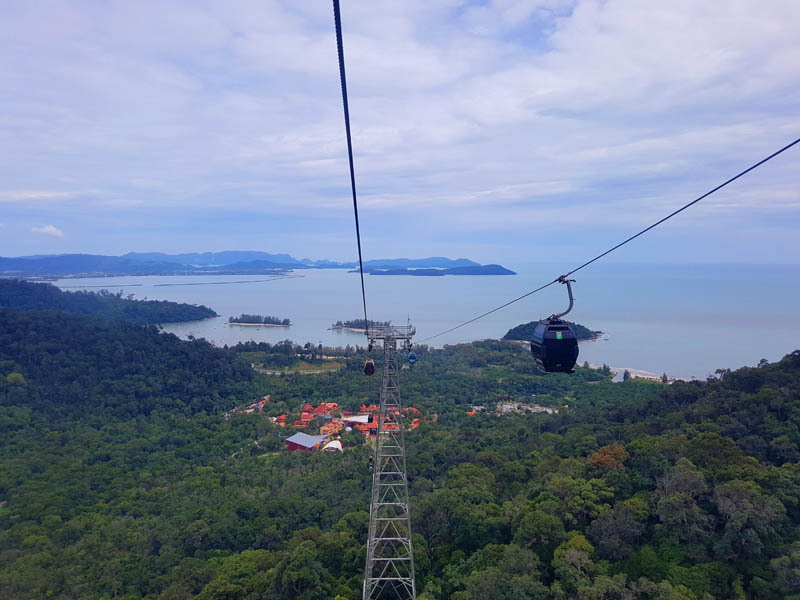 Stay tuned for more adventures around Langkawi in Malaysia.